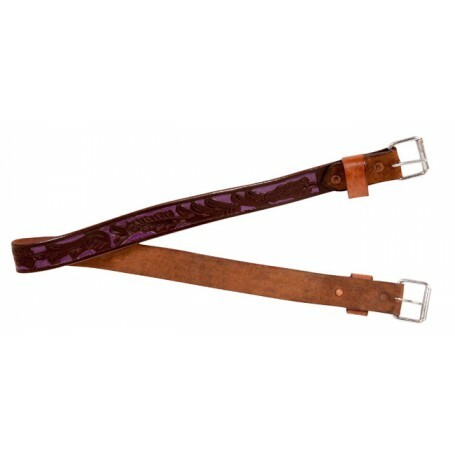 This beautiful dark brown all leather back cinch with hand painted purple inlay is a perfect addition to your tack collection and is designed to fit model 10192 . The back cinch features a leather strap to tuck your billet straps into to prevent any excess straps from hanging off of your horse. The underside leather is roughed out to prevent galling.